This book is the survey of apple varieties throughout the world, providing a history of apple-growing from earliest times, a practical section on growing apples and eating them, and an annotated directory of the finest varieties, together with lists of apple collections throughout the world. Beginning with a fascinating history of apple-growing from earliest times, she describes the multiplication of varieties which culminated in the golden age of apples as a dessert fruit in the 19th century. There is a practical section on growing apples and eating them - the characteristics of different varieties, growing, training and pruning, pest protection, serving and cooking. Finally there is a complete annotated directory of the National Apple Collection at Brogdale, the largest of its kind in the world. Also included are useful lists of apple collections throughout the world, and of nurserymen supplying individual varieties. The book is illustrated by 36 magnificent colour paintings by Elizabeth Dowle, specially commissioned for this book, as well as numerous other illustrations in line and halftone. Dit boek zal op 3 oktober 2002 in Engeland op de markt worden gebracht. Working in his garden one day, Michael Pollan hit pay dirt in the form of an idea: do plants, he wondered, use humans as much as we use them? 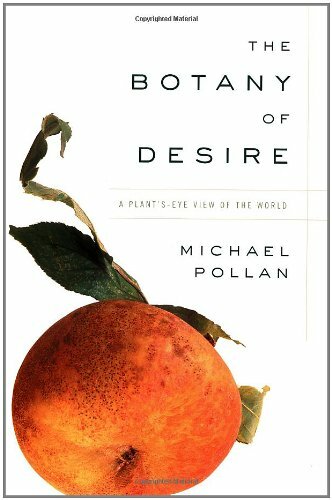 While the question is not entirely original, the way Pollan examines this complex coevolution by looking at the natural world from the perspective of plants is unique. The result is a fascinating and engaging look at the true nature of domestication. In making his point, Pollan focuses on the relationship between humans and four specific plants: apples, tulips, marijuana, and potatoes. He uses the history of John Chapman (Johnny Appleseed) to illustrate how both the apple's sweetness and its role in the production of alcoholic cider made it appealing to settlers moving west, thus greatly expanding the plant's range. He also explains how human manipulation of the plant has weakened it, so that "modern apples require more pesticide than any other food crop."